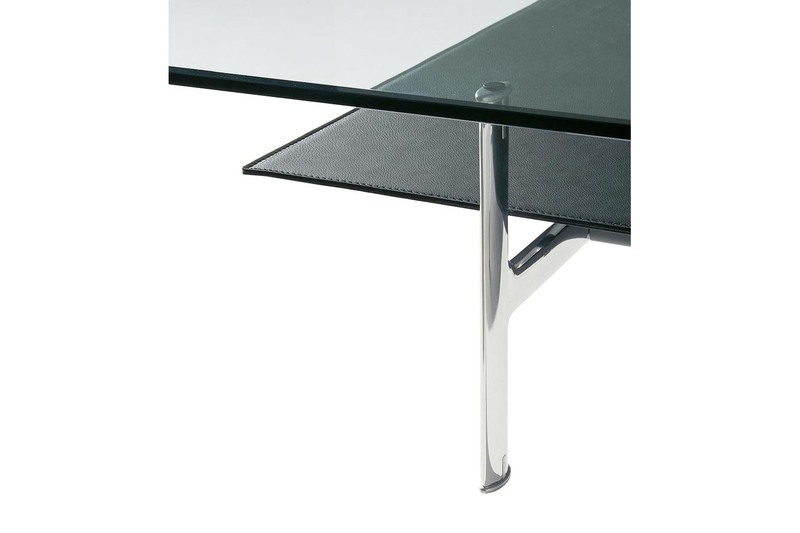 B&B Italia's Diesis table is a contemporary low table, ideal for modern interiors. 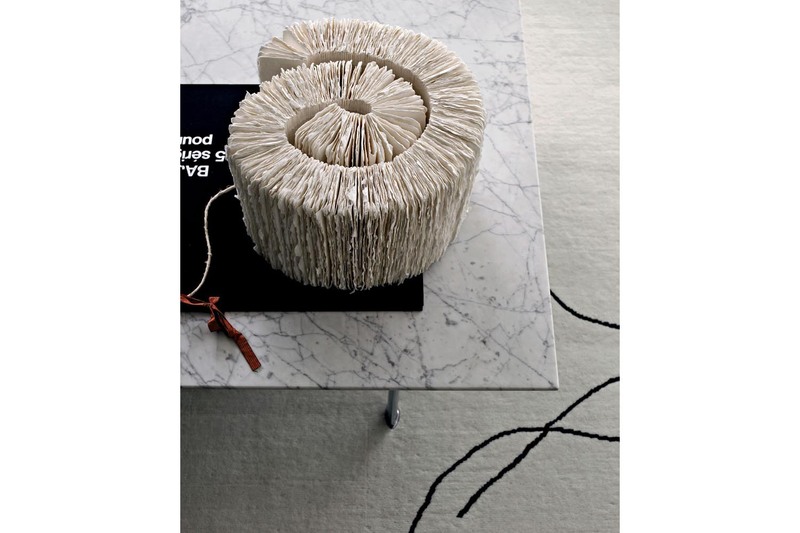 Designed by Antonio Citterio, the top is marble or crystal glass and leather. 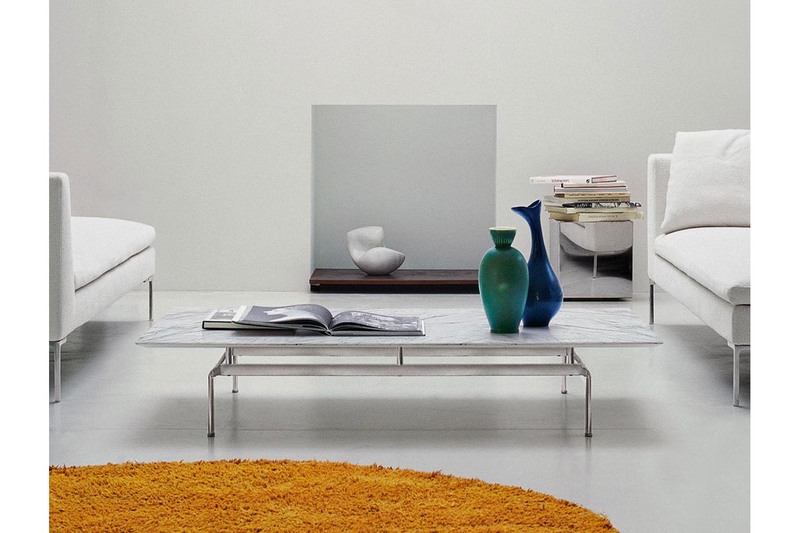 The Diesis table series comes in two large rectangular models fitted with the same die-cast supports used in the sofas. 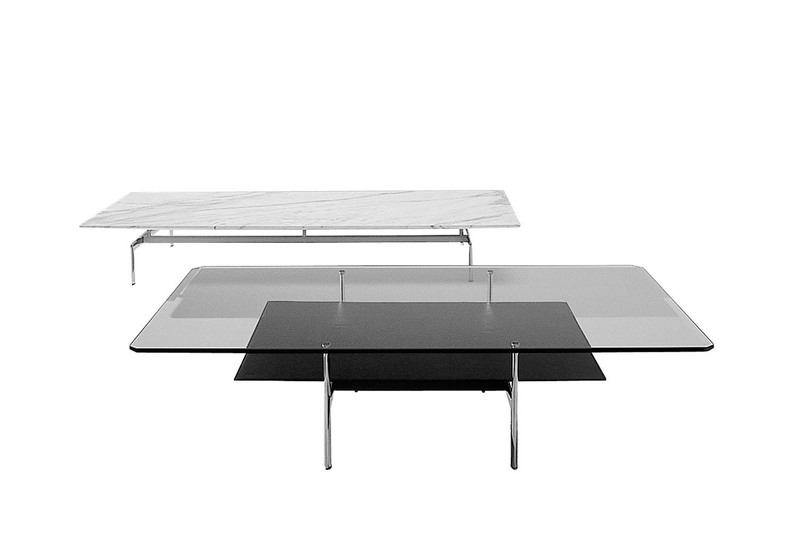 The first model features a marble tabletop, while the second has two tabletops: an upper top in transparent crystal glass with ground edges, and a lower top covered with leather.